Orthodontics is devoted to creating beautiful smiles and improving overall health by bringing teeth, lips and jaw into proper alignment. By straightening teeth that are crooked or overlapping, correcting gaps, and realigning the jaw, orthodontic treatment enhances patients’ smiles and reduces the risk of a range of health problems. 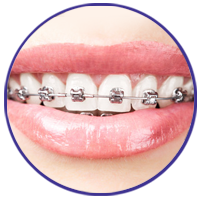 Orthodontics is often associated with teenagers wearing braces, but patients of all ages can benefit from treatment. 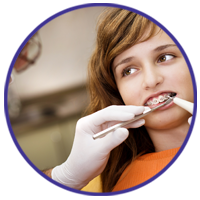 The American Dental Association recommends that children have their first orthodontic assessment by age seven, and 30% of today’s orthodontic patients are adults. Advancements in modern orthodontics allow us to offer more options than ever for effective treatment with minimum discomfort and a discreet appearance. 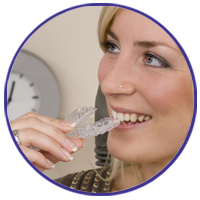 From traditional braces to removable appliances, there are options for every patient.